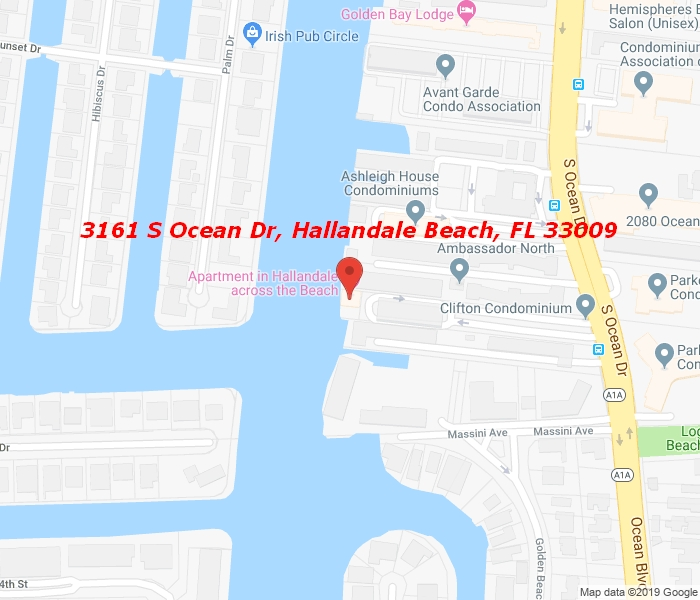 LOCATION, LOCATION, LOCATION… Spacious, Nice condo 2 bedrooms / 2 bathrooms with patio overlooking the Beach and Intercoastal in Hallandale Beach. This unit is located on the side of the Intercostal just across the Beach with easy beach access. Very comfortable and super clean, all ceramic. Newer A/C unit and water heater. Tastefully Decorated, It’s 100% Ready To Move In…! Heated pool, Gym.. Well maintained building, low maintenance. Close to shopping, restaurants, casino and Aventura Mall. All Ages > Perfect getaway home for snowbirds or to enjoy year round! Just bring your toothbrush and enjoy the sun!